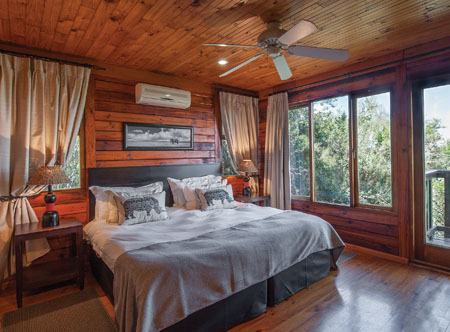 Family owned and operated, Kariega stretches across 10,000 hectares of pristine wilderness in the picturesque Kariega and Bushmans River Valleys, boasting a stunning array of fauna, flora and birdlife, as well as superb game drives and viewing. 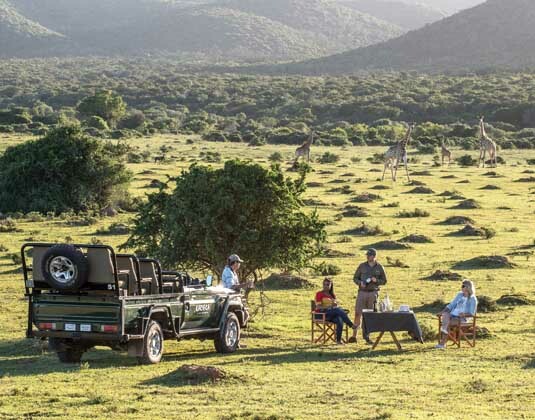 Four unique lodges, differing in price and luxury combined with excellent facilities and breathtaking views over the hills, valleys and rivers below, ensures Kariega Game Reserve is the perfect destination for a spectacular game experience. Breakfast, lunch, dinner and local beverages (excluding Kariega Main Lodge). 1 hour 30 min from Port Elizabeth airport. Expertly integrated with the surrounding bush to create a natural environment where guests can enjoy traditional meals in the restaurant or boma, a drink at the bar or a swim in the pool. Accommodation: In one of 21 African style chalets commanding panoramic views with bath/shower, private deck and some also have a private pool. River Lodge is beautifully set on the banks of Bushman’s River and offers exclusivity, comfort and tranquillity. Relax at the pool or take in the view from the magnificent deck overhanging the river. Accommodation: In one of 10 superbly appointed spacious and luxurious thatched suites with bath/shower, mini bar and private deck. 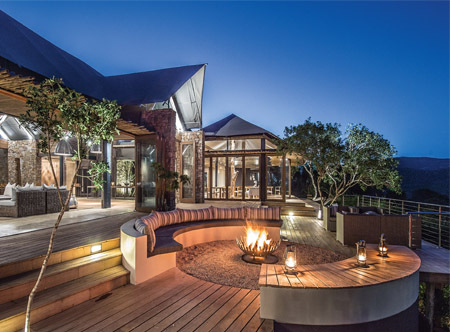 Perfectly positioned in a remote untouched part of the Kariega wilderness, Settlers Drift offers a unique tented safari experience combined with 5 star luxury. Accommodation: In one of 9 luxuriously appointed tented suites with air-conditioning, indoor/outdoor shower, opulent bedroom, living area, mini bar and viewing deck. : Receive a bottle of champagne or wine and if you stay 3 nights receive a free spa treatment up to R500 per person.